With rapidly changing political, social and economic realities impacting business daily around the world, it has never been more important for business executives to know what is going on. But who has time to thumb through a newspaper, sit through a television newscast, or even read all the reports on your industry when you are travelling, meeting people, making decisions and managing business at a top level? There are a host of great apps for mobile devices currently on the market that can bring the news to your executives on their terms and on their devices when they have a few minutes here and there to fill. 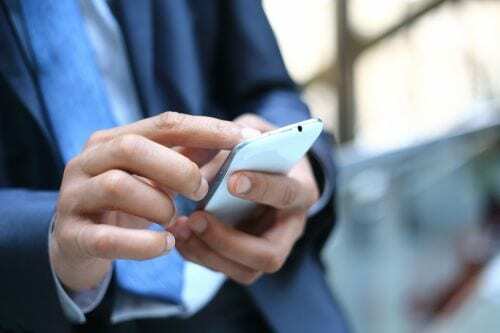 Here are 6 apps that will help keep your key decision-makers aware of the world around them and conscious of both opportunities and threats that changing world circumstances can have as they impact your business. Flipboard is like having your own personal magazine delivered right into your smartphone, tablet or desktop daily. It remains one of the greatest apps for reading the news. You get specially selected articles based on your interests, videos, podcasts and other media. The Daily Edition has a good, solid collection of news-themed stories every single day. This is real news in an era of fake news. All stories are from reputable sources. Perhaps best of all, it’s free. Pocket is another free and fun app. It helps busy executive save information they want to read for convenience of their schedule. It lets you hold Internet content such as articles, images, and videos to look at later. What is really innovative about this app is that it reformats articles to make them easier to read on a mobile device. It also syncs the content you have saved to both your phone, tablet and online account. Like to catch up on the news during your airport waits, or late at night or over mid-morning coffee? This is the app to make it happen. Kindle has an app that has been around for some time now, but it still works, it is clever and still very convenient for busy people who still want to read books to be aware of new ways of thinking. The Kindle app assembles all our e-book purchases in one place for easy access. It also gives you mobile access to the Kindle e-book store. One of the nicest features is that it brings you back to precisely the point you stopped reading, regardless of which device you pick up to continue. It also syncs your bookmarks and notes. Overdrive is also a rich mine of reading material and in this case, you don’t have to pay for it. Supported by more than 30,000 libraries worldwide, this app gives you access to a broad array of e-books available at local libraries. You can download titles for free, reserve titles not ready yet, and read borrowed books online. All you need to have to access this resource is a library card. ESPN is a free Android app that gives you access to a lot of sports events from football games in the United States to the Indy 500. It lets you set up alerts for games you don’t want to work through and tips you off about specific matches you are following. It also connects you to news headlines and videos. Pocket Casts costs $9 and it does an amazing job of managing all your favorite podcasts and syncing them between devices. Not only does it help you find new podcasts daily of special interest to you, but it has a great feature that allows you to speed up or allow down the parts that you want. You can even skip the parts that bore you.